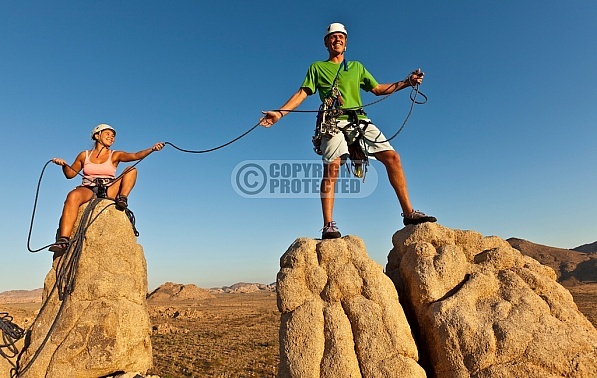 Description: Climbers on the summit. Mission accomplished. Pinnacle of success. Grit and determination. Living on the edge. Reach the top. No guts no glory. Dream big. Believe in yourself. Never give up. Strive for excellence. How to rock climb. Don't look down. Hold on tight. Go for it. Nerves of steel. Rock climbing clothing. On the verge. Stock photos.